Use enough rope to allow for the long tail ends. Use both ends together to form a loop. Pass the two ends through the loop. Tighten and dress the knot. The underside of the knot is unlikely to catch on an obstruction. Origin: Ashley named this the Overhand Bend (ABOK # 1410, p 258) and described it as "among the weakest of the bends" and used to hang hams, bacon, and bananas. He was writing before the knot was developed for joining two ropes for rappelling. 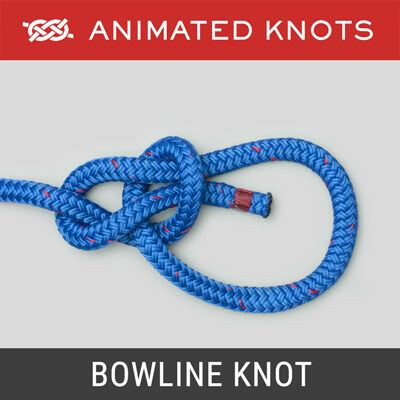 Advantages: The Flat Overhand Bend is one of the easiest knots to tie. It rarely gets stuck because the two ropes enter the knot at the same point and, therefore, pass over an obstruction relatively easily. However, after heavy loading it can be difficult to untie. Tying it: The knot must be dressed neatly with no crossed strands and pulled as tight as possible. The tail ends MUST be long – about half a meter (18 - 24"). 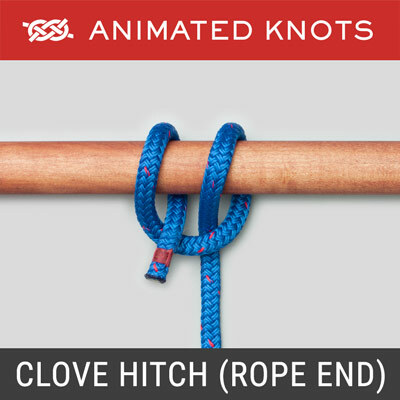 Additional Safety: An Additional Overhand Knot may be tied snug up against the first. However, this extra knot may increase the risk of this bend catching between rocks. The use of two knots has regrettably been described as a Double Overhand. 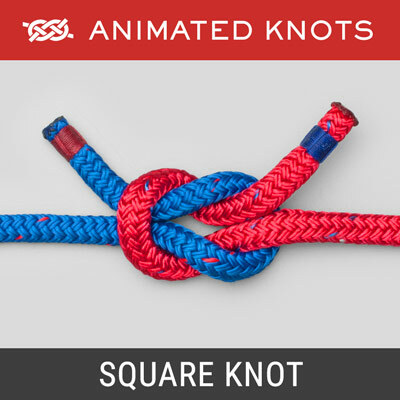 This is incorrect as we already have a well known Double Overhand Knot. Related Danger: Real risk is associated with the similarly tied Flat Figure 8 Bend because it can roll at quite a low tension and several deaths have been reported. The Flat Figure 8 Bend is deliberately not illustrated here because of these risks. By contrast, the Flat Overhand Bend has a good track record though some authors express caution with wet rope or icy conditions. Names: Ashley also calls it the Thumb Knot. 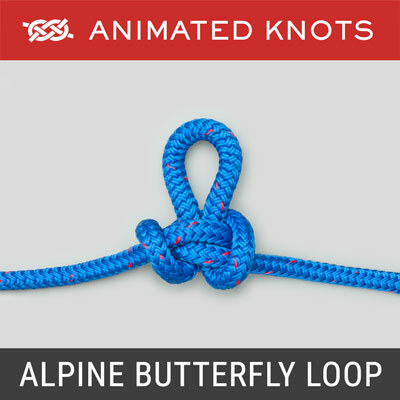 Climbers and Rescue workers are more likely to call it the EDK (for "Euro Death Knot"). 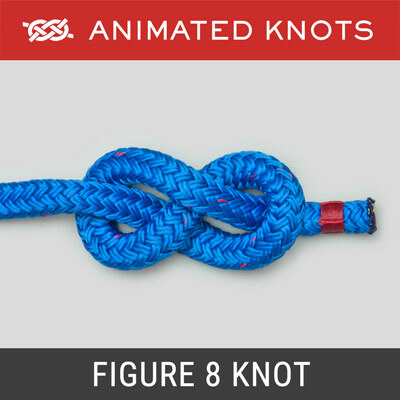 This name probably arose initially in the United States where unfamiliarity bred distrust and because the occasional disaster with the Flat Figure 8 version caused both knots to be branded with the EDK name. Testing: Both the Flat Overhand Bend and the Flat Figure 8 Bend have been extensively reviewed and tested by Thomas Moyer. He provides useful references to detailed accounts of accidents as well as the results of his tests in which both knots failed by rolling or capsizing at high loads. After a knot rolled or capsized, subsequent rolls and capsizes required higher loads. He provides a balanced view of the role for these knots and the opinion that: "I don't believe the flat-overhand will ever fail under body weight if it is tied well." 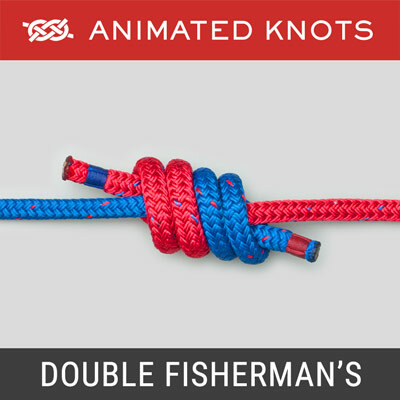 Alternatives: A Double Fisherman's Bend is probably the most reliable yardstick against which other bends should be judged and the Figure 8 Bend is also widely used. However, extra bulk tends to increase the risk of these bends catching between rocks.